Product #5522 | SKU GPR-101 | 0.0 (no ratings yet) Thanks for your rating! 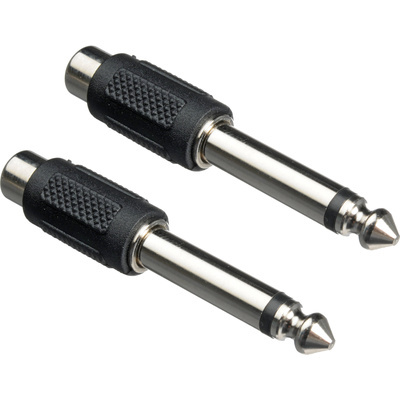 The Hosa GPR101 1/4" Male to Female RCA Adapters (2pk). These adaptors are designed to adapt phono plugs to mono phone jacks. They may be used to connect consumer audio components to pro audio gear.